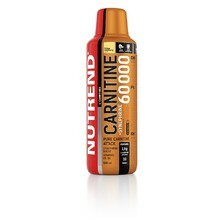 L-carnitine (liquid carnitine) is not only suitable for diets, but also for endurance sports, where it indirectly conserves the glycogen supply. 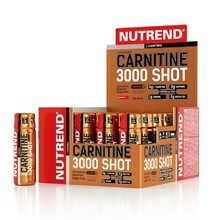 L-carnitine is an amino acid that the human body is able to produce in certain amounts. However, the production of L-carnitine is dependent on a sufficient amount of the amino acids lysine and methionine, as well as B3, B6 and C vitamins and iron. L-carnitine improves the transport of the fatty acids (fats) to mitochondria where their “burning” can be used for energy. Therefore, it indirectly works as a fat burner. L-carnitine also improves brain activity, because it helps to produce nerve impulse carriers (i.e. GABA) and improve heart function. 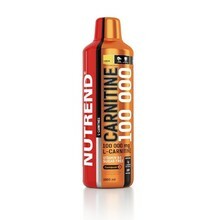 L-carnitine begins to take effect in a dose of 500 mg for an adult and 200 mg for a child over 3 years of age. It doesn’t become addictive during long-term usage. To achieve a more significant effect, you should increase the dosage up to 1.5 g per day.